Home / Kenya News / news / Sports / Uganda President, Museveni Bans Gambling & Sports Betting In The Country - Should Nigeria Follow Suit? Uganda President, Museveni Bans Gambling & Sports Betting In The Country - Should Nigeria Follow Suit? 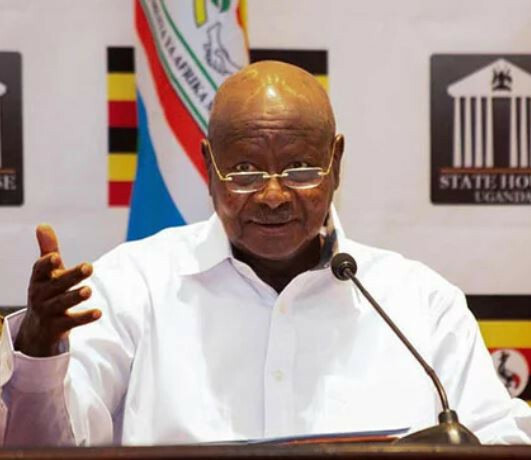 The Uganda's Finance minister David Bahati, has confirmed that Uganda President, Yoweri Museveni has ordered his government not to issue or renew licences for sports betting firms in the country anymore. Bahati said President Museveni issued the directive because of the negative impact the betting "craze" has had on youths, adults and people in general. Bahati said church leaders who have been against sports betting can now praise the Lord because their prayers have been answered. However, the Ministry of Finance spokesman, Mr Jim Mugunga, said he was unaware of the president's directive but added that he does not doubt it. The question is this, should Nigeria follow suit? This so called gambling and sports betting aka 9jabet, nairabet, baba ijebu etc are ruining the lives of all Nigerian youths. Even fathers and mothers are not left out. I think Nigeria should do the same.